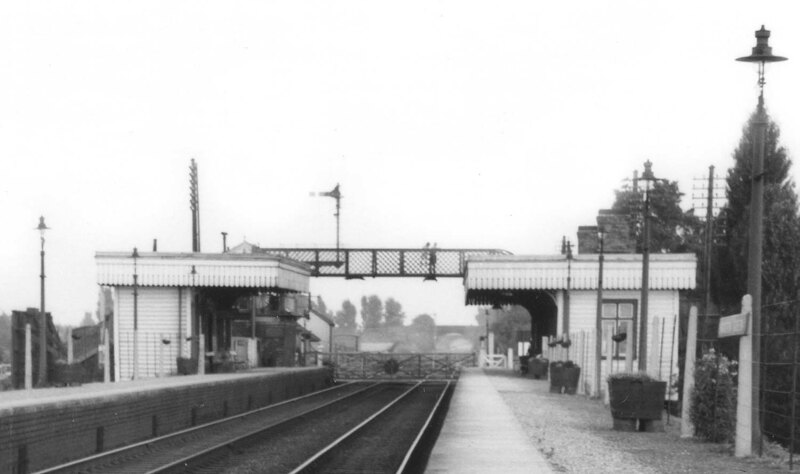 Close up of image 'lnwrmg718' showing the station buildings with the down platform only housing a waiting room and toilets whilst the up had these plus the booking office. The platform buildings appear to have been painted in British Railways maroon and cream corporate livery. The footbridge is more attractive having lattice steel sides rather than the steel plated variety common elsewhere on the route.